Timothy Rooker, shown, and his brother Jeremy are being sought by local officials, and should be considered armed and dangerous, according to law enforcement officials. Two brothers involved in a Thursday morning shooting incident in southern Union County were still the subjects of a large manhunt as daylight was failing this evening. 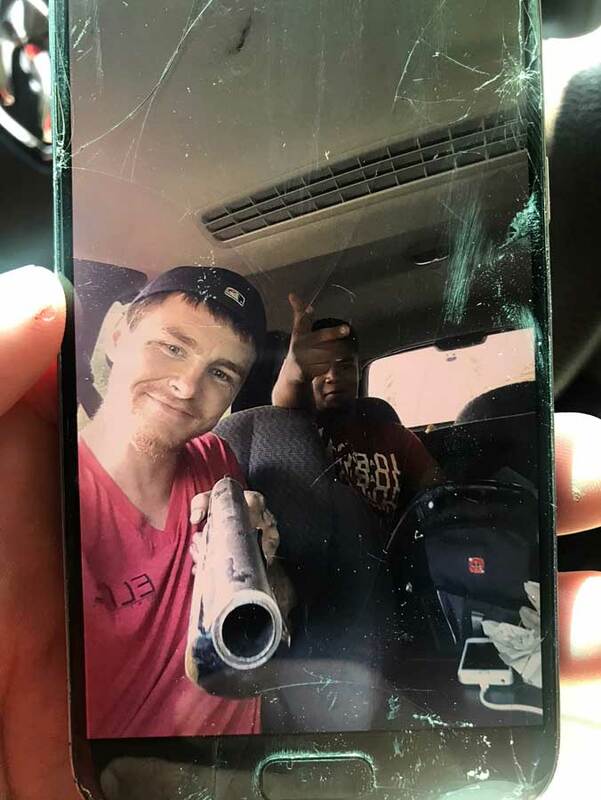 Timothy and Jeremy Rooker, white males, both believed to be from the Memphis area, were in an SUV on which a Union County deputy sheriff attempted a traffic stop about 10 a.m. Thursday. The vehicle reportedly stopped. The deputy exited the Union County Sheriffs Office (UCSO) car and walked toward the SUV. As the deputy approached on foot, the SUV started moving again and sped away. Timothy Rooker poses for cell phone photo earlier Thursday morning. The deputy returned to his car and pursued the fleeing SUV at speeds of over 100 miles per hour. The vehicle had Desoto County, Miss. tags. In what is presumed to have been an attempt to damage and disable the UCSO vehicle, occupants of the SUV threw objects, including a screw driver, out of the car at the pursuing deputy. The driver lost control of the SUV on a curve of County Road 102 and the vehicle overturned. A man, believed to be Timothy Rooker, got out of the overturned SUV and pointed a sawed-off shotgun at the deputy. The UCSO officer fired several rounds at Rooker from his handgun at as he ran away. Jeremy Rooker also emerged from the overturned vehicle and fled on foot. Darius Porterfield, a black male, also from the Memphis area, remained in the wrecked vehicle and was taken into custody. 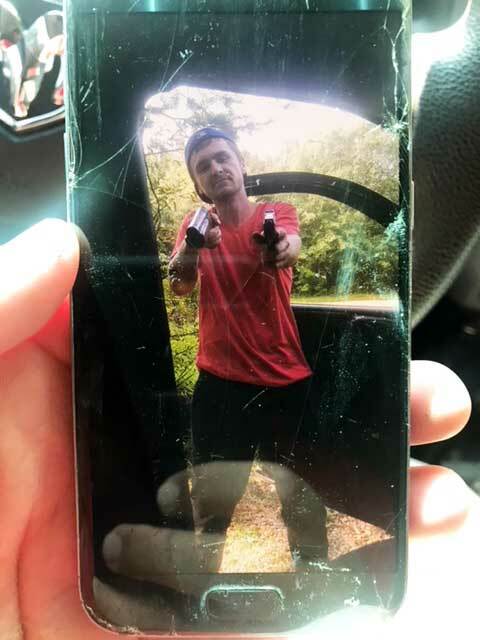 During the investigation officers found photographs of Timothy Rooker, taken earlier, in which Rooker is pointing both a semi-automatic pistol and a sawed-off shotgun at the camera lens. In the photos, two of which are shown with this article, Timothy Rooker is seen pointing a semi-automatic pistol and a sawed off shotgun at the camera. Rooker has a smile on his face in one of the photos in which he is pointing his shotgun at the cell phone camera lens. Timothy Rooker points weapon at camera. Union County Sheriff Jimmy Edwards told NAnewsweb.com late Thursday afternoon he believes the Rooker brothers got separated from one another as they ran away. A Ford 8000, a large, older model farm truck, was stolen while officers were searching for the Rooker brothers and is believed to have been taken by one of them. Multiple law-enforcement organizations, using a helicopter and tracking dogs, continued the search throughout the morning and into the evening. Shortly before 8 p.m. Thursday evening, Sheriff Edwards told NAnewsweb.com that the Rooker brothers were still at large. They should be considered armed and dangerous and residents are urged to take suitable precautions.